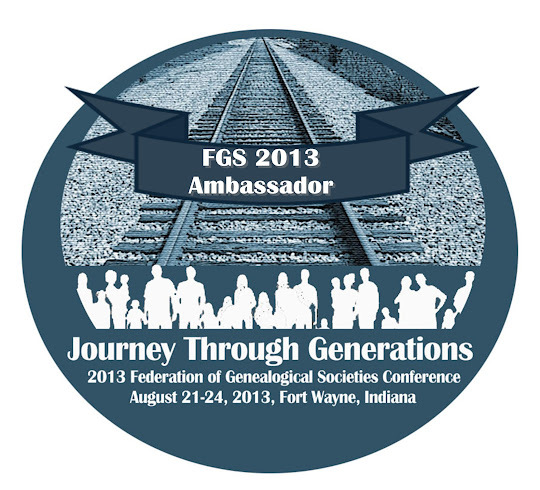 There are some many wonderful people out there willing to help others in the genealogy research. Between Facebook and blogging, I've met many of those wonderful people, and it's a pleasure to know them. Just in the last few days, I've experienced RAOGK (Random Acts of Genealogical Kindness) all over the place. I thought I'd take a few moments to share them with you and to publicly thank these wonderful people. One Thursday, I posted An Unexpected Find. To make a long story short, David Weller (Standing Stones) was kind enough to go out to a cemetery and take some photos for me. After I posted the article, I had two other wonderful ladies share some information and offer to help. GrannyPam (Granny's Genealogy) left a comment and emailed me on Facebook. She lives near the cemetery and offered to get photos once the snow clears. She also offered to lookup information in the cemetery transcription books published by the Oakland Genealogical Society, for others I suspect to be in the area. I will be taking her up on this offer! Brenda (Grand Traverse & Leelanau Counties Cemetery) left a comment with the gravestone transcriptions from the Michigan, Oakland County, Troy Township Cemeteries book she has. Then yesterday, I emailed Sheryl (Erfourth) Helewski asking for the transfer of Calvin P Webster and Betsey Webster on Find A Grave, if of course, she was not related to them. She kindly transferred the memorials to me and offered to send me a photo of the memorial stone for the cemetery. Had I not already had it from David, I would have graciously accepted, but I told her I already had one. I've since updated their memorials with all the known information I have and have also done some linking to other family members. This morning I got my first RAOGK volunteer request. A gentleman requested a lookup of obituaries for two people who lived in died in Bloomington, Illinois. I certainly hope that I can find them. I don't think it will be too difficult, as our library has a wonderful index of people mentioned in the newspaper all the way back to its inception. I can't stress enough how much the Internet has played a role in my genealogy research. Sure you have the genealogy sites like FamilySearch and Ancestry. But I am so happy that I decided to sign up for Facebook and start blogging about my genealogy, both back in July 2008. More on that in an upcoming post. Thanks again to David, Pam, Brenda, and Sheryl for you generosity and kindness. May it all come back to you in your genealogy endeavors. I SO agree with you Julie. If it wasn't for the kindness of other genealogists and just plain nice folks, I wouldn't have some of the information on my family that I have. Great article! I think most of us who offer to look up, hunt, find and share with others in so many ways have also experienced the kindness which seems to abound among people of common interests. I think the genealogy networks are strengthening greatly using Facebook, Twitter blogs and other cyber-tools. Nice people are nice people I've found a lot of them lately, too. No need for the public thanks, but it's appreciated. I just hope I find something, now. Thanks Julie, it is really nice to be acknowledged when so much of the time we don't get a lot of feedback.